Tez began his journey in the late seventies and developed The Master Game over a thirty year period incorporating his experience as an artist and his training in Chinese medicine, Tai Chi, Vipassana, Daoyin, Qigong Meditation, Biodynamic Craniosacral Therapy and various other forms of bodymind therapies. He is the founding member, along with Ewan Kenny, of Gathering Essence - School of Daoist Yoga and Qigong Meditation. 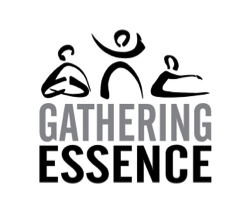 Tez is the Master practitioner in Gathering Essence. He currently lives and works in Edinburgh Scotland. Ewan has been working closely with Tez since 1999 and has been teaching classes and assisting on retreats and workshops for several years now. He is is also an established Craniosacral Therapist, living and working in Edinburgh. sitting meditation, retreats, workshops and teacher training. Welcome to the energy and meditative arts of The Master Game. This in-depth work is at the heart of Gathering Essence - School of Daoist Yoga and Qigong Meditation. 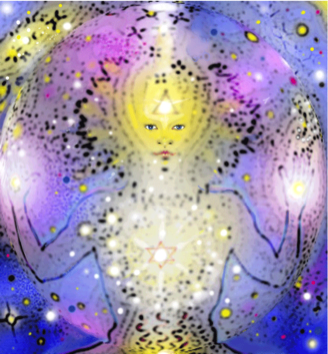 We work directly with the integral forces manifesting our potential and our consciousness. Although our methodology is rooted in Taoist and Buddhist internal and external Yoga and Qigong Meditation we are a nonsectarian school promoting an integral consciousness. We welcome people from all meditative and energy based traditions. We run weekend workshops, retreats and classes where we explore the Biodynamic forces of body, mind and spirit in both sitting and movement meditation. The Master Game furthers the experiential development of wellbeing and realisation within the biodynamic potential of our embodiment. This work centres consciousness within both our biology and its universal field potential. We work directly by accessing the potency of the life force as an energy field phenomena in its tidal, polar and cyclical flow. The dynamics of the life force are fundamentally universal expressing an energy rich field potential underpinning consciousness, sensory awareness and our physical and psychological makeup. We, as sentient beings, arise through the complexity of the interacting field potential that is inherently dualistic yet arises from a depth of presence and awareness that transcends duality. The Arts of Biodynamic Meditative Consciousness unfold our field potential by virtue of the sequential principles of the Creative and Receptive energy potential of the Tao. Human consciousness arises from and is capable of interacting directly with field potential at multiple levels that transcend the local dynamics of the physical body. These universal Qi harmonics sustain the condensed energy fields of vibrant potential at an atomic, molecular, cellular and neural level. The universal field and the body-mind field are not separate, they are fundamentally interwoven. They are the precursor of the forces of motility and motion that mobilise and sustain the biodynamic organisation and well being of the body. The universal field at the core of matter facilitates our local Qi field sustaining the persistence of awakening consciousness between the gravitational depth of our being, the body-mind, the energy field of human relationships and the planetary and universal field potential.